Compulsive Switcher I switches the incoming audio on and off, periodically. And more. 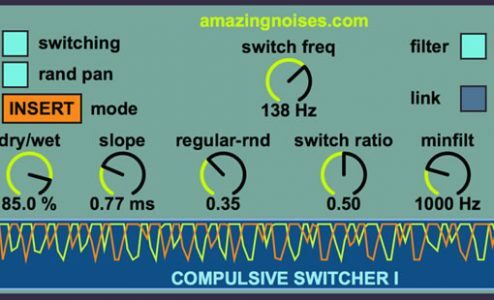 Compulsive Switcher I runs in Ableton Live 8/9 with Max 5/6.